Skype is kicking off a massive, $12-million marketing campaign focusing on the value of communication in both the United States and the UK. The IM and VoIP client focuses its marketing effort on the deeper, more meaningful communication that it wants to transmit. Skype asks "When did it become OK to text Mum happy birthday?" and answers right away that "140 characters doesn't equal staying in touch." With such bold and thought-provoking statements Skype wants to make users think about their habits. The whole campaign was inspired by recent research unveiling how rare people connect with their family members and friends. And while the marketing firm working on the campaign admits that Skype isn’t solving all those deep problems, it does highlight the important role the app can play. "We're proud of our video calls, but we also want them to know about our other products: screen-sharing, group video, file transfer, instant messaging, calls to mobile and landlines. The combination of features allows a more natural conversation," Francie Strong, Skype's director of global customer-base marketing, said. The ads will start appearing on April 19th in major media outlets. If they rather spend the money on development and bring Skype to other platform like WP7, Blacberry, and latest Symbina, suport more tablets would do no harm at all. 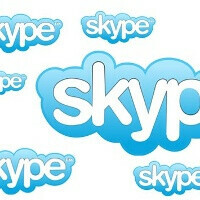 Nice campaign, but Skype is losing its touch a little. New players like Tango and Six3 (which lets you send video messageshttps://six3.tv) are doing a nicer job of video communication, esp on mobile.